Borussia Dortmund vs Stuttgart predictions for this weekend’s German Bundesliga. Dortmund look to keep their spot atop the table when they host Stuttgart at Signal Iduna Park on Saturday. Read on for our free betting tips and match preview. Borussia Dortmund need a big performance on Saturday. Lucien Favre’s men have had the wind taken from their sails over the past few weeks as a run of just one win in eight across all competitions sees them out of the DFB Pokal and the UEFA Champions League and their seven-point lead atop the Bundesliga reduced to just goal difference ahead of chasers Bayern Munich. It’s no coincidence that captain Marco Reus was absent for the large part of that run, but he’s yet to help turn around that indifferent form since returning to their starting line up against Augsburg last Friday. Stuttgart couldn’t have asked for a better time to face Der BVB then. Markus Weinzierl’s men ended their seven-match winless run with a much needed 5-1 thumping of fellow relegation fighters Hannover 96 last weekend. Hoffenheim loanee Steven Zuber was the catalyst with two goals and an assist – he’s now scored in three consecutive games – and veteran Mario Gomez found the back of the net too for the first time in 2019. Stuttgart are still two points off Augsburg and safety, but they do have a comfortable five-point cushion above the automatic drop. Even with this drop in form, this remains one of Dortmund’s best-ever seasons. No team has scored more goals in the league this term than Der BVB either, and when you look at their attacking assets, you shouldn’t expect anything less. Marco Reus’ return adds even more firepower to an attacking set up that includes players like Jadon Sancho, Mario Gotze and Paco Alcacer, who looked to have shaken their goal drought over the past few weeks. As the saying goes, “Goals win games.”, and we feel the value is seeing at least one at each end, given the hosts’ recent defensive form – Dortmund have kept just one clean sheet in their last nine outings. Stuttgart’s defense is much worse, though. Interestingly, while the South Germans have failed to score in just one of their last eight Bundesliga outings (W1 D2 L5), they’ve conceded a massive 20 goals over this run – an average of almost three per game. Weinzierl’s men have won only 1 of their 12 away games in 2018/19 too, and also hold the honour for second-worst defence in the league (52 goals conceded). Dortmund have a huge opportunity to get themselves back on track and how many can they score should be the only real question. With Stuttgart conceding multiple times in 9 of their last 11 away outings, it’s not unreasonable to expect a few. Our prediction: 3-1 Borussia Dortmund. Borussia Dortmund and VfB Stuttgart will meet for the 100th time in the Bundesliga. Stuttgart have won just one of their last 15 BL games against BVB (D5 L9) – a 2-1 home victory in November 2017. Dortmund have won six of their last seven competitive games against Stuttgart (1 loss) and are unbeaten at home against VfB for over 12 years (W5 D5). Stuttgart have lost nine of their last 10 Bundesliga games against table-toppers – the exception is their 4-1 win at FC Bayern on matchday 34 last season. 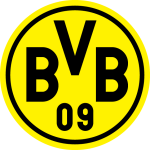 Borussia Dortmund have collected just six of a possible 15 Bundesliga points since February – Bayern’s points tally in that timeframe is double (12). Dortmund are the only Bundesliga side still unbeaten at home this season (W10 D2). They have never collected more points from their first 12 home games in a BL campaign (also 32 in 2015/16). Dortmund’s Paco Alcacer built on his Bundesliga record for goals scored off the bench within a single season last time out in Augsburg, netting his 11th as a substitute to also end a personal goal drought lasting eight competitive games. Both goals Dortmund conceded in Augsburg came following individual errors (Zagadou for 1-0, Hakimi for 2-0). Borussia have now let in a league-high three goals following individual mistakes in 2019. 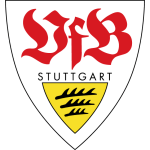 VfB Stuttgart have collected four points from their last two Bundesliga games and are unbeaten in back-to-back BL matches for the second time this season after draws on matchdays 3 and 4. Stuttgart scored three goals from corners in their 5-1 win over Hannover, doubling their season tally in just one game. Stuttgart’s Steven Zuber scored in his third consecutive Bundesliga game last time out against Hannover, also netting his first BL brace and having a hand in three goals in a single top-flight game for the first time (assisted Mario Gomez to make it 1-0).